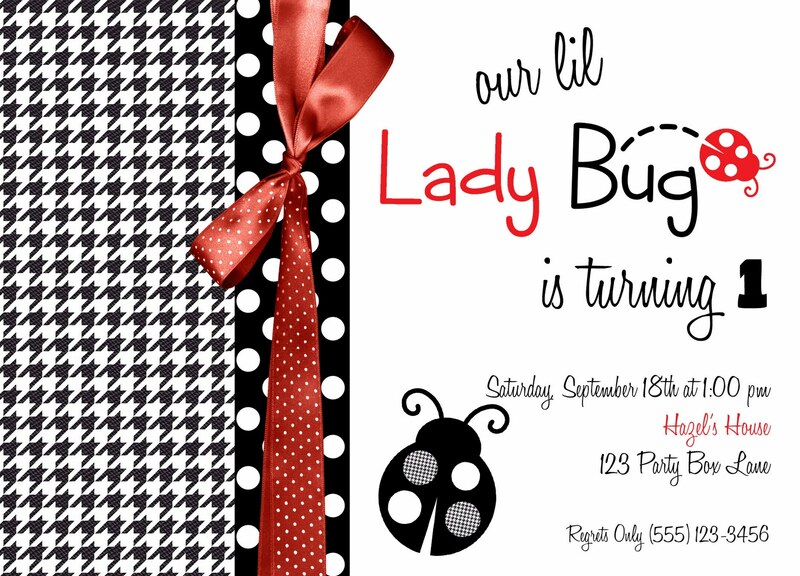 I am currently working on a little lady bug first birthday and just had to share! How crazy cute is this classic theme!?! Red, Black and White- fabulous combination! 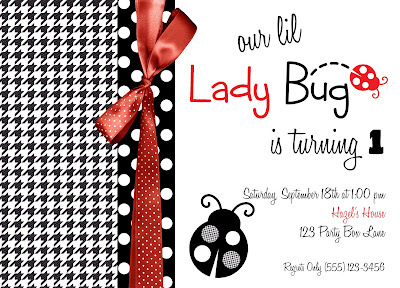 These invites look out of control cute with a little glitter on the lady bug dots! 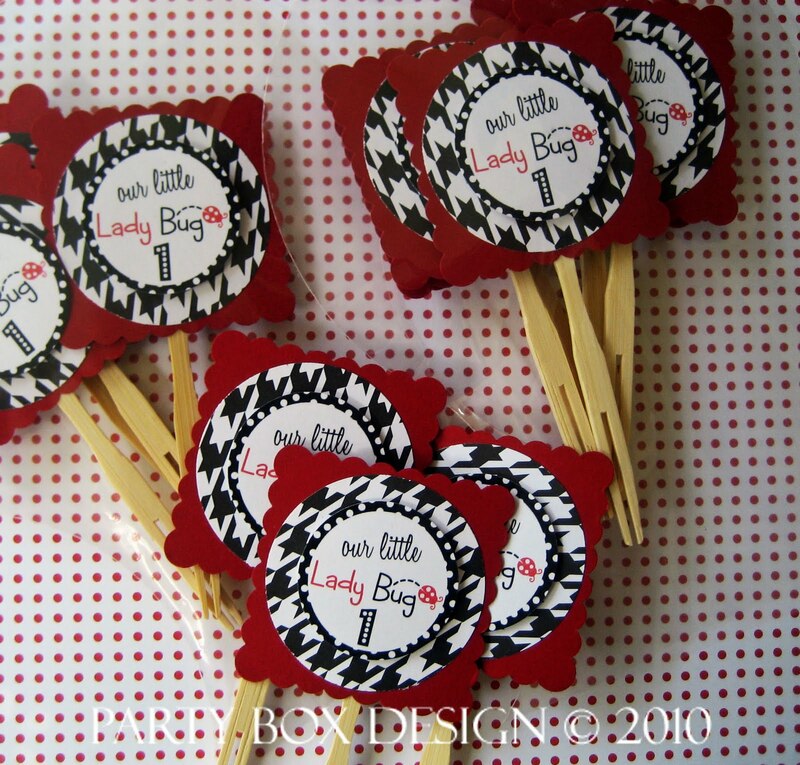 The houndstooth is perfect for the ladybug theme!! Have a great weekend! I'm in the process of planning my niece's 2nd birthday party!!! Lady Bug Theme too!